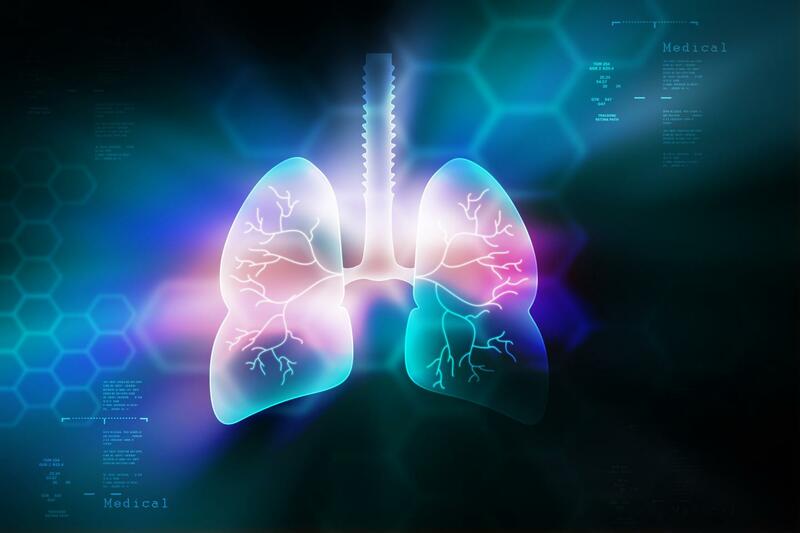 Myeloperoxidase – an enzyme naturally found in our lungs – can biodegrade pristine graphene, according to the latest discovery of Graphene Flagship partners in CNRS, University of Strasbourg (France), Karolinska Institute (Sweden) and University of Castilla-La Mancha (Spain). Among other projects, the Graphene Flagship designs based like flexible biomedical electronic devices that will interfaced with the human body. Such applications require graphene to be biodegradable, so our body can be expelled from the body. To test how graphene behaves within the body, researchers conducted several tests to analyse how graphene was broken down with the addition of a common human enzyme – myeloperoxidase or MPO. Found in the human lungs, MPO is a peroxide enzyme released by neutrophils, a type of cells responsible for the elimination of any foreign bodies. If a foreign body or bacteria is detected, neutrophils surround it and secrete MPO, thereby destroying the threat. Previous work by Graphene Flagship partners found that MPO could successfully biodegrade graphene oxide. Alberto Bianco, researcher at Graphene Flagship Partner CNRS, explains: "We used two forms of graphene, single- and few-layer, prepared by two different methods in water. They were then taken and put in contact with myeloperoxidase in the presence of hydrogen peroxide. This peroxidase was able to degrade and oxidise them. This was really unexpected, because we thought that non-functionalized graphene was more resistant than graphene oxide." Rajendra Kurapati, first author on the study and researcher at Graphene Flagship Partner CNRS, remarks how "the results emphasize that highly dispersible graphene could be degraded in the body by the action of neutrophils. This would open the new avenue for developing graphene-based materials." With successful ex-vivo testing, in-vivo testing is the next stage. Bengt Fadeel, professor at Graphene Flagship Partner Karolinska Institute believes that "understanding whether graphene is biodegradable or not is important for biomedical and other applications of this material. The fact that cells of the immune system are capable of handling graphene is very promising." Prof. Maurizio Prato, the Graphene Flagship leader for its Health and Environment Work Package said that "the enzymatic degradation of graphene is a very important topic, because in principle, graphene dispersed in the atmosphere could produce some harm. Instead, if there are microorganisms able to degrade graphene and related materials, the persistence of these materials in our environment will be strongly decreased. These types of studies are needed." "What is also needed is to investigate the nature of degradation products," adds Prato. "Once graphene is digested by enzymes, it could produce harmful derivatives. We need to know the structure of these derivatives and study their impact on health and environment," he concludes. Prof. Andrea C. Ferrari, Science and Technology Officer of the Graphene Flagship, and chair of its management panel added: "The report of a successful avenue for graphene biodegradation is a very important step forward to ensure the safe use of this material in applications. The Graphene Flagship has put the investigation of the health and environment effects of graphene at the centre of its programme since the start. These results strengthen our innovation and technology roadmap." The Graphene Flagship is one of the largest research initiatives of the European Union. With a budget of €1 billion, it represents a new form of joint, coordinated research initiative on an unprecedented scale. The overall goal of the Graphene Flagship is to take graphene and related materials from the realm of academic laboratories into European society, facilitating economic growth and creating new jobs, in the space of ten years. Through a consortium that combines more than 150 partners, both academic and industrial, the research effort covers the entire value chain, from materials production to components and system integration, and targets several specific goals that exploit the unique properties of graphene and related materials.